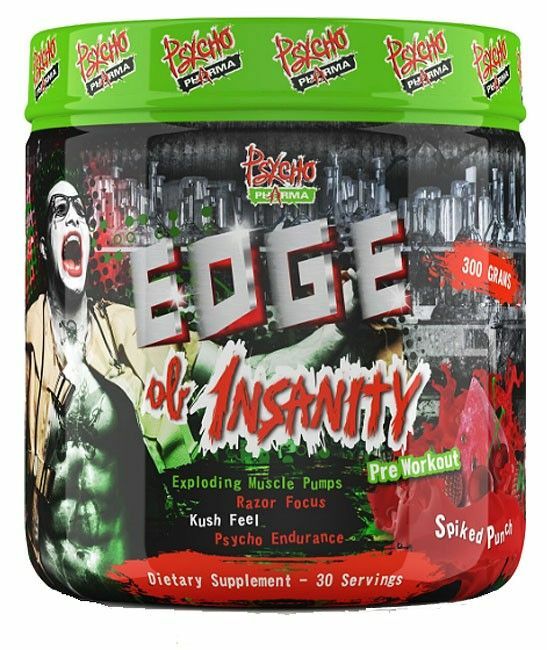 Pyscho Pharma PsychoPharma: Edge of Insanity Cosmic Candy - Athletes Nutrition Inc.
To create the closest feeling of Psycho-energy (focus mixed with “kush-feeling”) with muscle exploding pumps, in a pre-workout powder that is stronger than anything you have ever F@#*%ING tried! All without going over the edge! 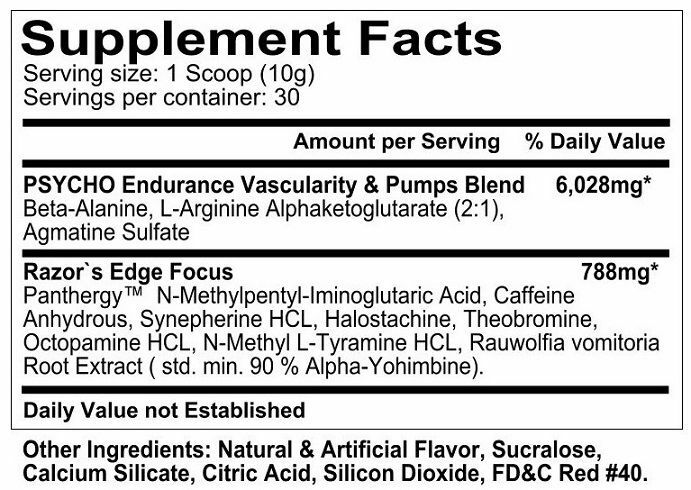 There is a razor-sharp-edge balance of “Psycho Endurance Power” that stems from the premium, spare-no expense stimulant blend (the Razor Edge Focus Blend) found in Edge of Insanity that cannot be matched. of another popular, mind-sharpening, focus supplement. You must experience going to the Edge of Insanity to fully understand that no other powder can do what this one does. 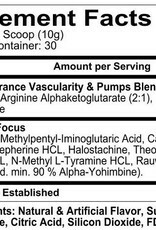 This formula has been painstakingly designed, rigorously tested, and perfected to raise the hairs on your arms and tingle the peak of your skull! You are what you eat: and you are under the influence of what you drink before training! No matter if you are the "the hard-core in training,” or are looking to become a "hard-core training athlete,” Edge of Insanity will stimulate and sharpen your mind, body and spirit. 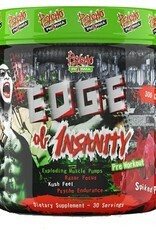 Guaranteed to give you a razor-sharp tool during cardio, heavy lifting, or anywhere you need an EDGE on the competition!